Concerns About Election Security in East Afghanistan | . :: Elections 2014 ::. TOLOnews reports that security is still the biggest challenge for holding the elections in eastern parts of Afghanistan, especially in Laghman and Kunar provinces. TOLOnews has conducted a report on the issues surrounding holding the election outside Kabul, particularly in neighboring provinces in east of the capital. The residents of eastern Laghman province have little knowledge of the election. Taliban have extensive presence and influence in Alishing, one of Laghman’s most insecure districts. “Considering the current situation, the election will most likely not happen in half of Laghman province. Taliban have warned people not to take part in the election,” the Deputy of Laghman Provincial Council, Gulzar Sangarwal, told TOLOnews. “Taliban killed my brother. They will kill us all if we participate in the election,” Ahmad, a resident of Alishing said. Two nights ago, Taliban targeted a police check-post in Kotal-e-Alishing area of Alishing district. “Taliban are widely present here. They are trying to prevent the election but we will not let them,” Ajmal, a police officer asserted. Similarly, in Kunar province, at least 272 insurgents groups, along with more than 4700 armed men, are present. Kunar's chief of police, Abdul Habib Sayedkhel, said that these insurgents backed by Pakistani military intelligence. “There are 272 insurgents groups linked to various parties including Taliban, Al Qaida, Haqqani, Hezb-e-Islami, Jaish al-Muslimeen, Arabs and many more,” Sayedkhel told TOLOnews. After leaving the capital of Kunar province for Watapur district, the TOLOnews report witnessed a shooting by the insurgent group. The residents claim that Arabs are active in the district. The residents denied being interviewed, perhaps due to the fear perpetuated by Taliban. “The election has to happen. But people do not know much about it because of threats from Taliban,” Qari Ismail, a Watapur Resident said. Even in the capital of Kunar province, people do not know about the election. "I know nothing about election," Joma Khan said. Nangarhar’s residents also suffer from insecurity along with other problems such as poverty. Their viewpoints regarding the election are marvelous. “We will do whatever our village leader (Malek) says,” Parwiz, a resident of Shiwa district said. 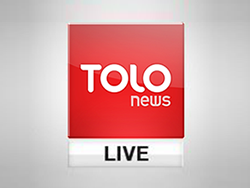 TOLOnews reports show that with the elections approaching, security remains the biggest concern for east Afghanistan. People's main demand is the eradication of poverty soon after the elections.